As noted by a colleague, this story from Ynet, unsurprisingly, hasn’t gotten much press in the international media yet. 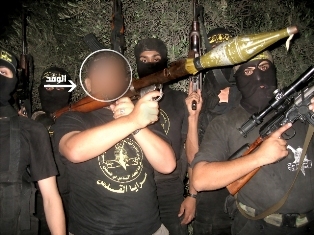 However, the Islamic Jihad website displays photos of recent flotilla’s Turkish passengers visiting Gaza and trying on the organization’s uniform. The Viva Palestina 5 ship carrying “peace activists,” which docked at the al-Arish port recently, brought along not only humanitarian aid to the residents of Gaza, but also enthusiastic Turks who took advantage of the opportunity to visit local Islamic Jihad members. 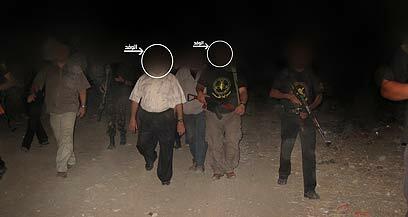 In pictures obtained by Ynet, the Turks are seen holding weapons and rocket launchers. 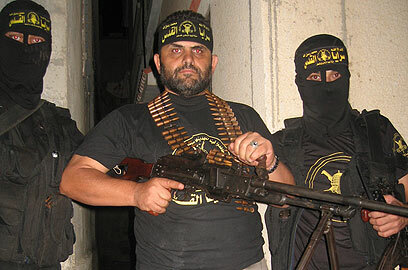 While their prime minister, Recep Tayyip Erdogan continues to blast Israel and demand an apology for “state terrorism,” two of the guests put on the uniform of the al-Quds Brigades, the Islamic Jihad’s military wing. The pictures from the Turkish delegation’s visit were put on the al-Quds Brigades website as part of the coverage of their visit. The guests’ face was blurred, but shortly afterwards the photos were removed from the site, most likely for fear that the Turks would be hurt. I was made to believe that even though bibi mentioned that these are the faces of the IHH these individuals were not proven to be members. Those people know if they are members? This should be used in questioning Erdogan whether he supports Islamic Jihad?